Maybe you found some bulbs in a garden, or maybe you forgot to properly label bulbs before storing them for the season. Regardless of what happened, there are a few simple ways to determine what type of flower will bloom from a mystery bulb. 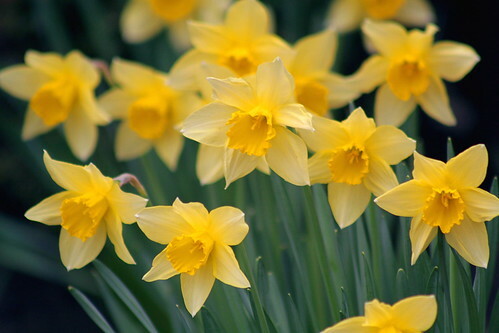 Daffodils are a popular bulb. Example of a budding bulb. Bulbs come in various shapes, colors and sizes. Unless you are familiar with what a particular bulb looks like, you'll need to compare the mystery bulbs to a resource such as the Garden Express growing guide (link below). Begin your investigation by sorting the bulbs into sizes, shapes and colors. The size of the bulb does not indicate the type of flower, but rather the height that the flower will become. 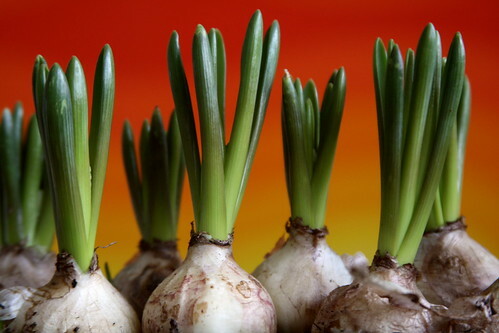 Generally speaking, larger bulbs yield larger, taller flowers. Tulips come in a wide range of colors. 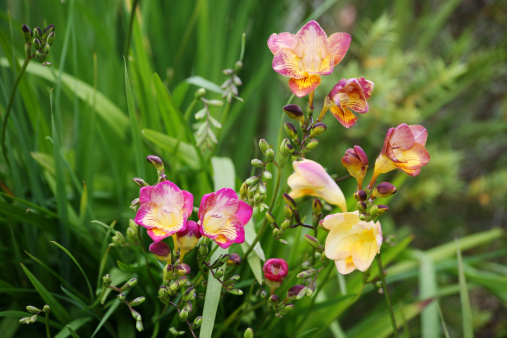 There is no way to determine flower color from an unlabeled bulb. Some home centers purposefully sell packages of mixed bulb varieties, which lends to an informal and natural-looking garden. When storing bulbs for the season, label the package in pen or permanent marker, which is more likely to be readable. According to the National Gardening Association, plant bulbs at a depth of about twice their height. Place bulbs into the ground pointy-side up.